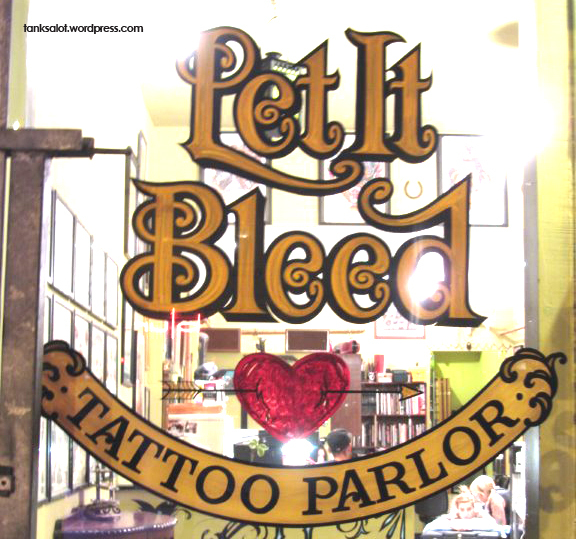 “When I find myself in times of trouble, Mother Mary comes to me, speaking words of wisdom… let it bleed.” Sorry, Mother Mary, but not the best advice in a tattoo shop. Spotted by Joshua Ferrett in San Fransisco California. 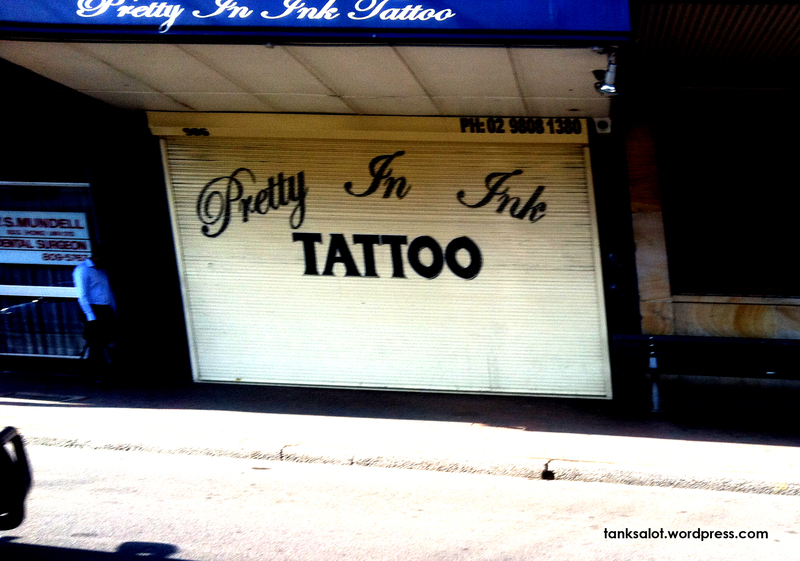 I dare you to go into this place and ask for a tattoo of Molly Ringwald and Andrew McCarthy pashing outside the prom. Spotted by Johnny Greally in West Ryde, Sydney NSW. 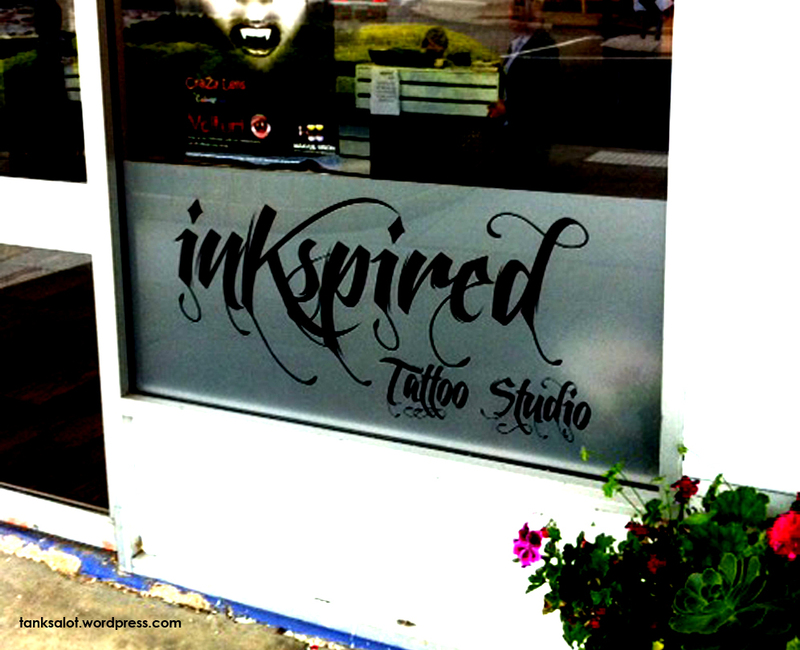 Another ink-spirational Pun Shop Name for a tattoo studio. 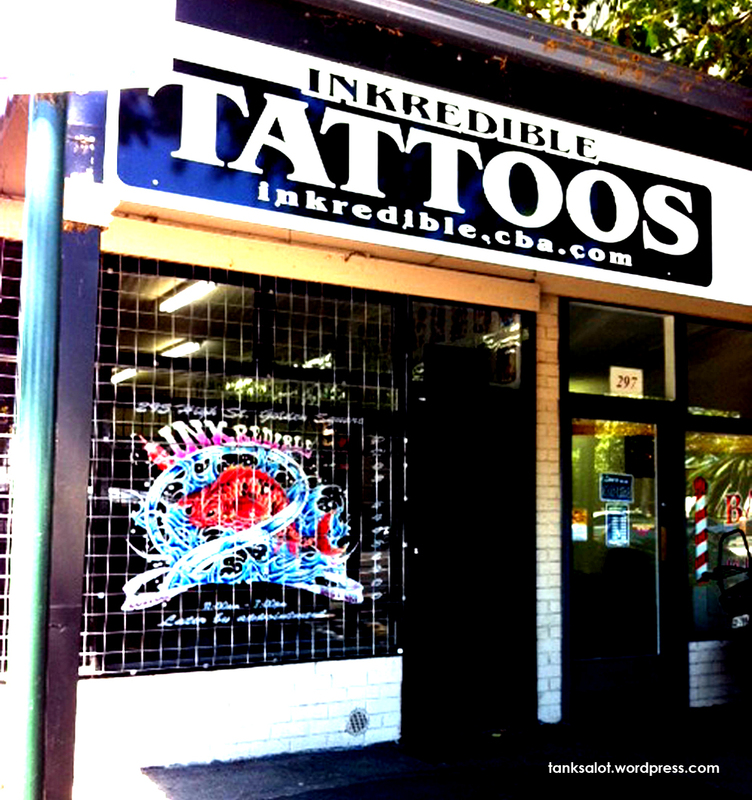 Spotted in Stawell VIC by Simon and Janet O’Brien, who went in for matching Southern Cross back tatts. An incredible PSN.. spotted in Bendigo VIC by Simon and Janet O’Brien.